A PXU-HC240 is projected to hold more than 13hrs (HQ mode) / 17hrs (SP mode) of video. 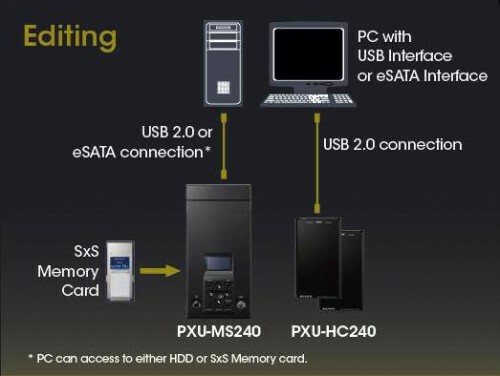 With the available e-SATA connection users can quickly offload content from the Mobile Storage Unit into their NLE or edit directly from the unit. 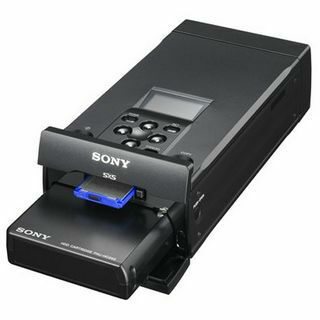 Sony XDCAM EX camcorder compatible via SXS Pro media.